Frederik January 11, 2012 Comment? 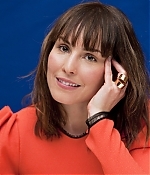 While news have been slow after the theatrical release of “Sherlock Holmes: A Game of Shadows” and 2011 has come to a successful end for Noomi, I’ve updated most of the year’s event galleries with new pictures. Have a look at the previews below to launch the galleries.